Hopefully I have sold you on the benefit of apps, but why choose reskinning apps specifically? Before answering that, I want to make it clear that it is entirely possible to build an entire app portfolio from scratch. Developing games from scratch I mean. In effect, re-inventing the “wheel” with each new game. I am not going to sit here and say there are not any advantages to create a new app, of course there are. But for many people, especially those starting out in the industry, creating a new app from scratch is really putting yourself under un-necessary pressure. Its going to take longer (and probably a lot longer) than a reskin, and its going to need skills that you may not possess (game design for one). And of course more money, and possibly a lot more money. Why not start out with a reskinned game first? And graduate up to a complete new game after you have learned the basics of the app development industry. Makes sense to me. Or course you might just get the reskinning bug and never bother with new games at all. Nothing wrong with that either. The point is, the experience you obtain reskinning a game will be very useful down the track no matter whether your longer term focus is new games, or reskinning games. It’s much, much (did I say much?) faster to reskin a game than to get one developed from scratch. When you buy source code for a game to reskin, you are leveraging a game that has already been developed, tested, and been thoroughly researched by others, presumably who know what they are doing (this depends on who you buy the game from, so you will have to check they have indeed done this – More on that later). The bottom line for you is that you are going to get your app into the app store quicker, start earning an income quicker, and not to mention you have saved money by reskinning an existing game rather than writing one from scratch. As co-owner of Funky Squid Games a game studio, we developed 3 games over a six month period. We are not talking chump change here. Not to mention the SIX MONTHS OF OUR LIVES! And these games were relatively easy games. 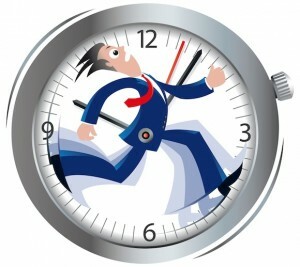 If you are going to fail, then fail fast, and move on to the next project where you are more likely to obtain success. Fail fast in other words. It just makes sense, especially when starting out to save some of your money, and reduce risk and reskinning an existing game will help you to do that. My team and myself have, in a relatively short period of time completed over 100 reskins for ourselves and clients all over the world. Australia (duh that’s where I live), USA, Canada, Singapore, Belgium, Japan, India and France just to name a few countries. In fact reskinning games is all we do these days, and if you keep doing one thing you get pretty darn good at it. I’ll be talking more about overcoming your fears and learning the process as quickly as possible a little later in this eBook, but for now, if you are looking for some assistance in a reskinning project, you can find out more about our team and availability for reskinning your next project at my blog here. So speed to market is a huge factor when reskinning apps, and it means you are building your portfolio quicker, increasing the chances of income from multiple apps sooner, and giving you bragging rights at the pub when it’s time to discuss your portfolio. When you reskin an app, the game “logic” or “rules” do not need to be changed much, if at all. In many cases the only thing you are changing is the important “financial things” like ensuring when an ad in the app is clicked that the income goes into your account, the name of the app, etc. As a result you are leveraging off the work done by someone else, and are saving having to pay an arm and a leg (and maybe a few toes) for the development of an entire game. A full game built from scratch can take a very long time (months in some cases) whereas a reskin can occur in a few days (depending on how busy your resources for doing the reskinning are). And given that time is invariable money somewhere along the line, you are going to save some, and maybe a lot reskinning a game compared to developing one from scratch. The fact is there are a lot of good games out there that play well but look bad. Or maybe the name of the app was off, or the icon sucked. Sometimes a new name, set of graphics and sound can bring a whole new lease of life to a game. 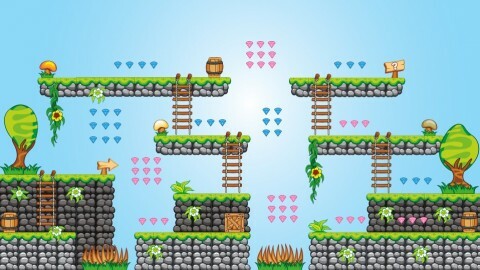 Another variation on this theme is that the original game may have been designed for an older device and possibly does not support retina (high definition) graphics. Or maybe it does not target the iPad. Here is an example of a reskin we did. This is the original game in the app store on the left Surf slots (it only worked on the iPhone or iPod, no iPad support), and the new game is Pirate Slots, which also works on the iPad. See how different a fresh coat of paint makes to a game? We also added high resolution graphics and have now extended the life of the source code a lot by doing so. This is something you can do as well when you get into the reskinning business. Same game, new reskin and some programming changes to get it to work on the iPad as well (entirely optional). The point of this, is not a huge self promotion of my work, but rather to get you thinking about the potential to add value to your customers (the gamers) when you approach reskinning. You can start with the basic reskin and as you get more experience and start making more money you can invest in more sophisticated changes to make your app stand out of the crowd.